How Can My Genes Be Patented? We’ve scheduled the first of our 2012 webinars. Webinars are advertised through our e-alerts so keep your eye on your inbox. Additional 2012 webinars will focus on breast cancer health inequities, among other topics. BCAction provides a free, personalized information and referral service to anyone who needs information about breast cancer. Since June, we’ve provided personalized one-on-one information and referrals to 250 women. 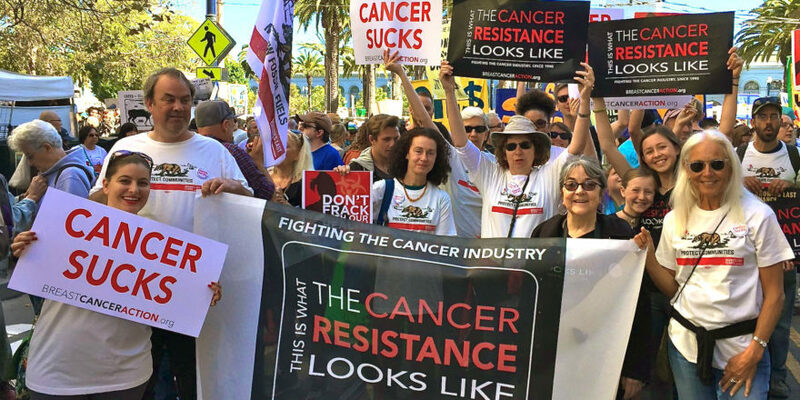 You can get in touch with our Resource Liaison, Zoe Christopher, by emailing her at info@bcaction.org, or calling toll-free 877-2STOPBC. This summer, we took action with our friends at Breast Cancer Fund and MomsRising to demand that Campbell Soup Company stop using bisphenol A (BPA, an estrogenic chemical linked to breast cancer) in its canned products. 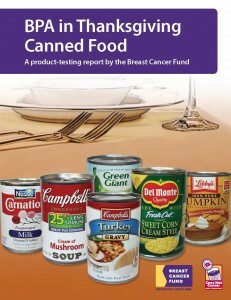 BPA’s presence in canned foods is a social justice issue and so in November, we co-released with the Breast Cancer Fund a new report on BPA in canned foods, BPA in Thanksgiving Canned Food. We cannot put the burden of responsibility on consumers—eating safe food products isn’t about individuals choosing BPA-free products. We need systemic change at the federal level – namely, the passage of the Safe Chemicals Act of 2011 to ensure that all people are protected from harmful chemicals. In October 2011, BCAction rolled out its first-ever Think Before You Pink® Toolkit. The toolkit is an educational resource for activists that is chock-full of information and includes a look at the history of BCAction’s Think Before You Pink® campaign, critical questions for conscious consumers to ask before purchasing pink ribbon products, a quiz (with answers), and instructions on how to write a letter to the editor and get your voice and opinions heard in a public forum. Check out Pink Ribbon Blues author Gayle Sulik’s review of the toolkit and get your own toolkit here. Since 2007, BCAction has maintained opposition to Avastin’s approval for treatment of metastatic breast cancer because of the drug’s failure to improve overall survival or quality of life and its serious side effects. In November, in concurrence with Breast Cancer Action’s position and the unanimous recommendation of the Oncologic Drug Advisory Committee (ODAC), FDA Commissioner Margaret Hamburg announced the revocation of Avastin for treatment of metastatic breast cancer. We believe this was the right decision, but it certainly wasn’t a victory. We will continue to advocate for more effective, less toxic treatment for all breast cancers. On the gene patenting front, in late July a federal appeals court partially reversed a lower court’s ruling in the lawsuit that BCAction and other plaintiffs brought against Myriad Genetics (Myriad holds a patent on the BRCA 1 and 2 genes, mutations of which are linked to an increased risk of breast cancer). 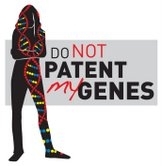 In a 2–1 split decision, the court ruled broadly that genes can be patented and that patents on BRCA1 and BRCA2 gene sequences are valid because they apply to isolated DNA, not DNA as it is found in the human body. BCAction’s attorneys in this case have filed a petition for review at the U.S. Supreme Court. We’ll keep you updated about the case. Pinkwashing reached a new low this year with the release of Promise Me, a perfume commissioned by the giant of the breast cancer movement, Susan G. Komen for the Cure. Promise Me contains unlisted chemicals that are regulated as toxic and hazardous, have not been adequately evaluated for human safety, and have demonstrated negative health effects. Together, we took on Komen’s pinkwashing. On September 27, we launched our Raise a Stink! campaign, asking the public to send letters to Komen, urging it to recall Promise Me perfume and sign BCAction’s Pledge to Prevent Pinkwashing.The campaign received fantastic media coverage across the United States in Marie Claire magazine, the New York Times, the Dallas Morning News, the Chicago Tribune, and NPR’s On Point, and was picked up by all the major TV stations, among other media outlets. Nearly 5,000 people sent letters to Komen leadership. Komen was forced to issue a public statement “in response to questions raised about ingredients in Promise Me perfume” and was held accountable for its failure to put patients before profits. Please consider making a year-end donation today. Your gift will ensure that BCAction remains an independent voice and vital resource for everyone affected by breast cancer.